A life insurance gap can exist if you cannot afford the insurance policy you need or if you change jobs and lose your previous life coverage. In both cases, your estate may not be provided for in the event of your death. It is not wise to rely solely on an employer's coverage, then, because it rarely fulfills the needs of your benefactors should they need your policy. 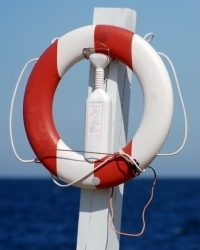 Risk pools and credit unions provide alternative options to standard life insurance. Since few individuals actually understand these programs well enough to make an informed purchase, though, these can be risky choices. A term policy is a short-term life insurance option that can protect you while you are in between jobs or facing uncertain circumstances. This is perhaps the simplest and most affordable form of life insurance, but it will become more expensive when used as a permanent solution. Term life insurance is a good way to gain added protection when your children are young, for example. Your retirement savings accounts will provide essential funds toward your estate in the event of your death. If these funds are sufficient to cover your debts and provide for your family, then life insurance becomes less concerning.